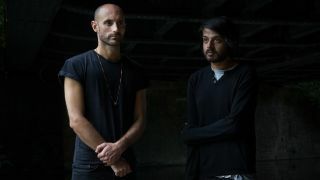 London duo VLMV have released a full stream of their debut album Stranded, Not Lost exclusively with Prog. It’ll officially launch on February 16 (Friday) but Prog readers can listen to all 10 tracks now. VLMV’s Pete Lambrou says: “Stranded, Not Lost is the first album I’ve written as a whole album, and not just songs that are pieced together to form a sort of best-of after a certain period. “I built a retreat studio in the basement of my house and buried myself there for a while. I wanted to keep this spatial feel that our previous album had, but create something more intimate. Stranded, Not Lost is now available for pre-order, while the full stream, tracklist and cover art can be found below.